Our repair shop is your best source for the quickest and most reliable repairs. We also keep a large inventory of common parts on hand for quick over the counter sales. We care about your safety and will save you money and time. Since 2003 we have served the areas repair needs, offering unbeatable prices, reliable experience and efficient service. From airing up tires to complete engine rebuilds we can handle almost anything. Our shop offers clean, friendly service and provides a service guarantee for all work done with us. LEW'S SMALL ENGINE REPAIR, formerly LEW'S SMALL ENGINES but not LOU'S, is located right on Route 16 at the Mendon/Uxbridge town line. Our address is 153 Uxbridge Rd in Mendon, MA. Sat: By appointment ONLY - Please call during normal business hours to schedule an appointment. After hours are available by appointment ONLY - Please call during normal business hours to schedule an appointment. Pick-up and delivery is available on Saturdays ONLY (must be scheduled by Thursday before 12 noon), a fee will apply. You may drop off at any time. Please fill out a tag located in the box in front of the shop. Be sure to note what you need us to look at and please leave a valid phone number. Cash, Checks, Debit, Visa, MasterCard and Discover. Regretfully, for your security we can not take credit card payments over the phone. 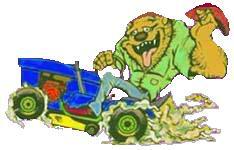 The best lawn mower, snow blower, and lawn care equipment, Repair guru in the area.